The innovative remote control system for car wash installations. 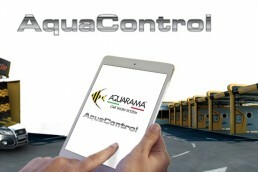 From today is possible to control your car wash everywhere you are directly through your smartphone, tablet or computer, thanks to the most modern Internet technologies, exactly as if you were on site. (*) Internet connection through Ethernet cable to be set up by customer. Available for Aquarack, Aquacube, Aquachange Top Line and Stargate gantries with Top-Line self service.